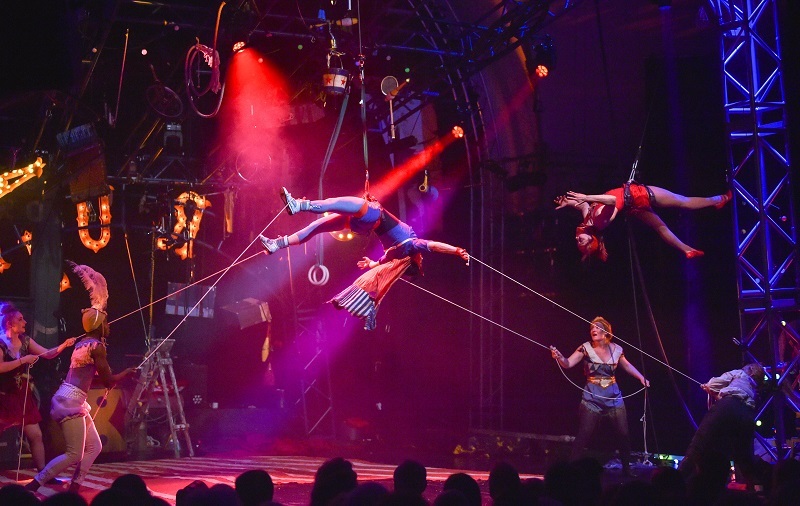 The Exploded Circus was produced in 2018 to coincide with the 250 anniversary of circus. It premiered at the Pavilion Theatre in Worthing on the 18th May 2018 and is available to tour. 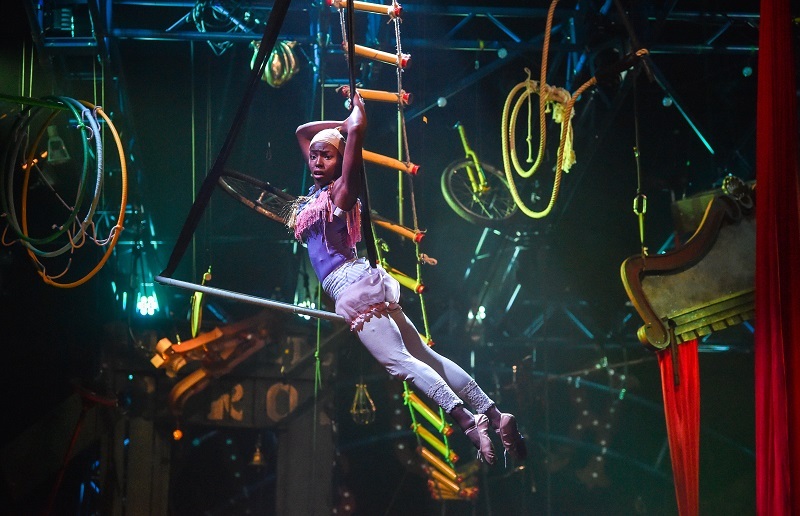 The Exploded Circus tours with a purpose-made, self-standing rig integrated into the design. 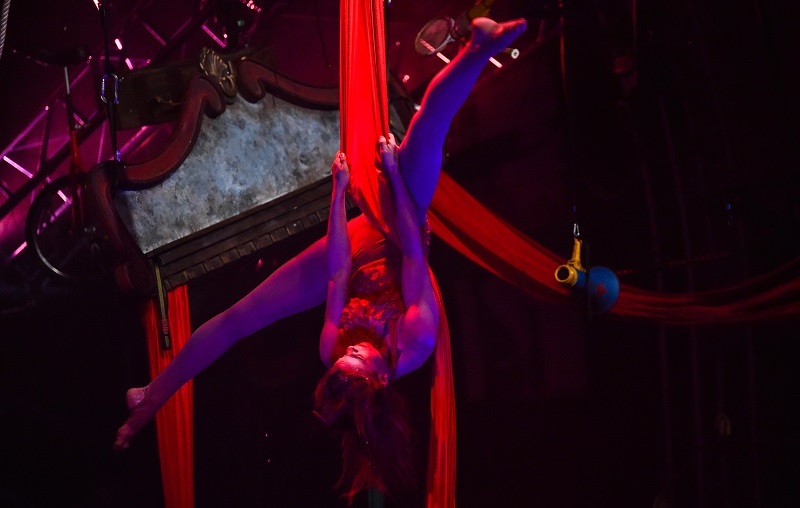 This means the performance can tour to venues who don’t normally have the capability for circus rigging, as well as non-conventional performance spaces (town halls, old markets, warehouse spaces). 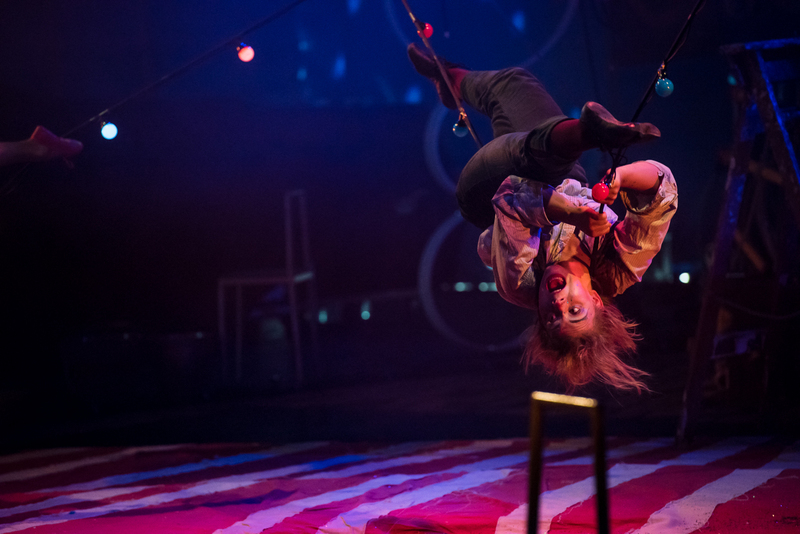 For more information on The Exploded Circus including access information, cast and creative team, images and more please visit this dedicated website. 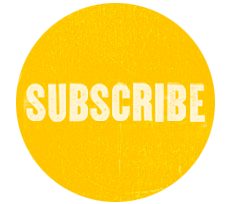 The Exploded Circus is supported by Arts Council England, the Foyle Foundation, PRS Foundation’s The Open Fund, 101 Outdoor Arts Creation Space and Circus 250. 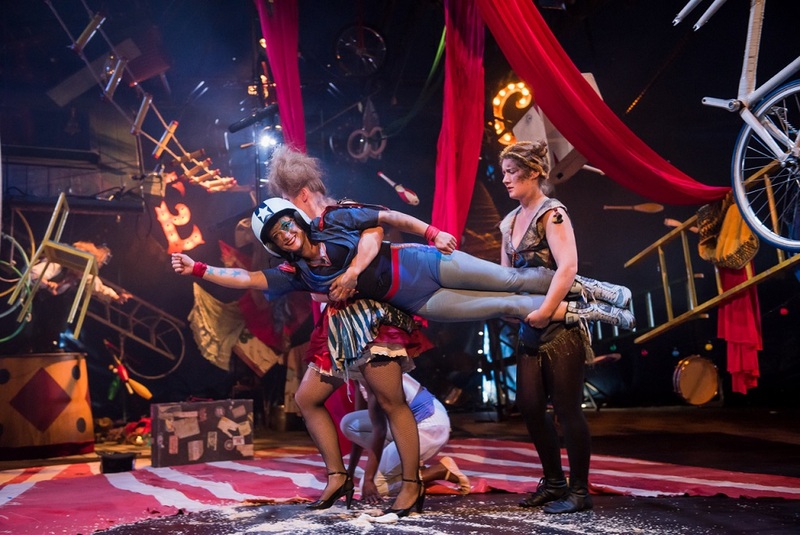 If you are interested in booking The Exploded Circus, please contact Lissy. 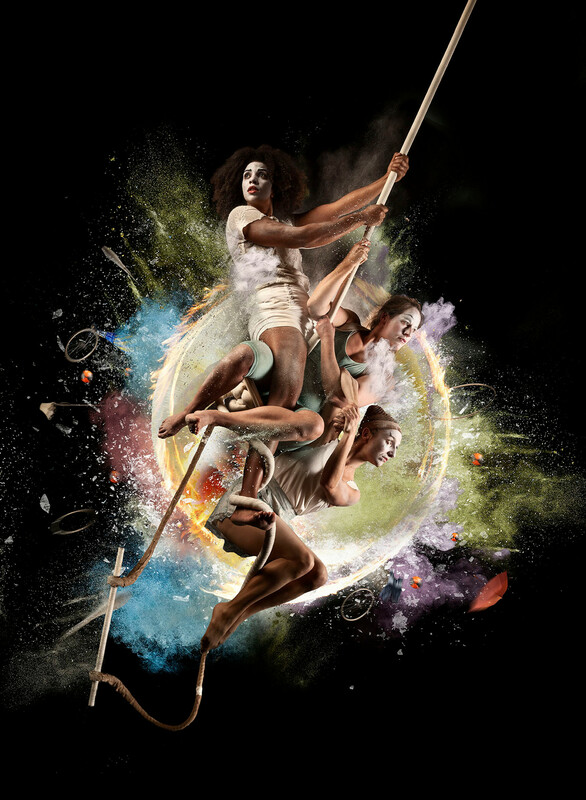 Saw the show at Curve Leicester yesterday and was blown away! 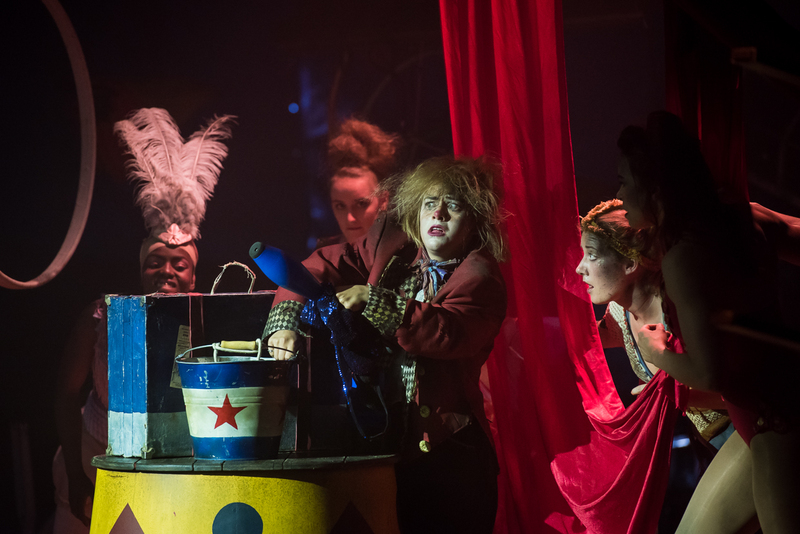 It was absolutely brilliant – the concept, the lighting and the overall production were outstanding and the performers were brilliant – warm and engaging as well as hugely talented.. Definitely 10 out of 10. Congratulations to all concerned for such a superb show. Please come back to Leicester again!